Bearing a prohibitive R-16 rating, “Deadpool 2” continues to dominate the local (PH) box-office as it stands to play in more than 100 screens on its third week of release. 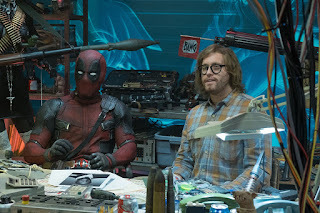 With its unique take on the superhero universe, the Merc with a Mouth played by Ryan Reynolds who also co-wrote the sequel, has heart in its core despite its R-rated humor and action. It’s a character that’s been kicked and knocked down, and life’s been tough on him, as a character with cancer and this terrible scarring on his face. “I think kids related to Spider-Man because it was a nerdy little kid, and then he put on the mask and he was this amazing super hero. And I think people tap into Wade Wilson because they see a character whose life has been tough and he somehow overcomes it all, laughs about it and wins in the end. I think people really relate to that,” says co-writer and executive producer Paul Wernick. A 20th Century Fox film, “Deadpool 2” is still showing in more than 100 screens nationwide in PH.